Engine Warranty through July 2019!! 1,000 Hour Service Just Completed!! Meticulously maintained 42’ Invincible with a fast and efficient 35 kt cruise on her Michael Peters designed Stepped-Vee hull. A World Class Fishing Machine that will run to the Canyons and bring back the tuna! She is truly a must see to believe! Boat name and Logo is a wrap which can easily be peeled off and removed. 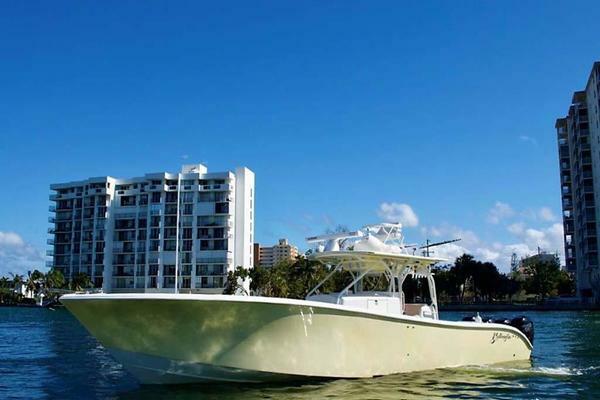 West Florida Yachts would love to guide you through a personal showing of this 42' Invincible 42 Step Hull 2014. This yacht for sale is located in Babylon, New York and priced at $359,000. For a showing please contact us by filling out the form on this page and we will get back to you shortly!